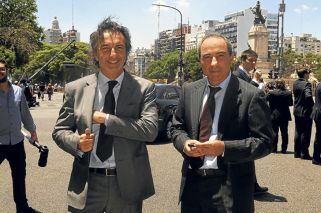 The investigation, led by federal Judge Claudio Bonadio and federal Prosecutor Carlos Stornelli, accuses Néstor Kirchner and his wife and successor as president Cristina Fernández de Kirchner of leading a criminal scheme to appropriate illicit funds stemming from kickbacks paid by companies looking to secure public works projects. The investigation into an alleged graft ring involving key businesspeople and former high-level government officials intensified this week, with three men seeking plea bargains. Juan Carlos de Goycoechea, former manager of Isolux, and Javier Sánchez Caballero, former IECSA CEO, were arrested on Monday. Both men secured plea bargains with Claudio Bonadio, the federal judge who is presiding over the case. A third man, Angelo Calcaterra, testified before Bonadio on Monday, confessing that he had paid bribes. Calcaterra is President Mauricio Macri's cousin and the former owner of the IECSA construction firm. "It is believed that [in his testimony to the judge] he recognized that he had paid bribes", sources close to Calcaterra told Perfil. The disgraced businessman confessed to making contributions to the election campaigns of former presidents Néstor and Cristina Kirchner, however he claimed that amounts appearing in the notebooks published last week by the La Nación newspaper are greater than the amounts he actually contributed, media reports suggested. 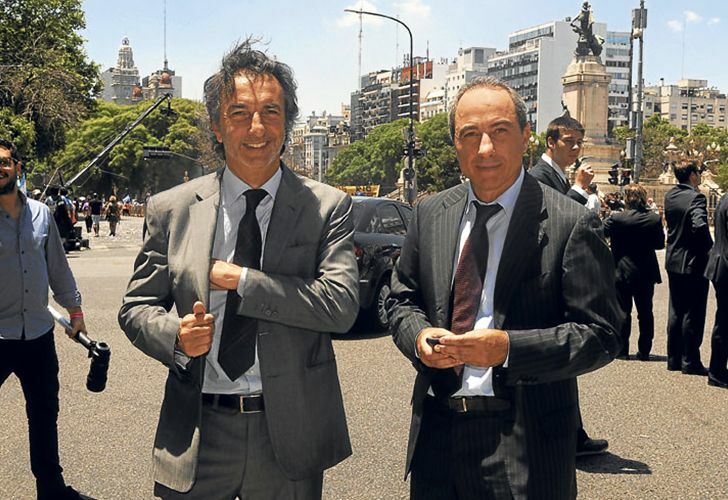 The investigation, led by controversial federal Judge Bonadio and federal Prosecutor Carlos Stornelli, accuses Néstor Kirchner and his wife and successor as president Cristina Fernández de Kirchner of leading a criminal scheme to appropriate illicit funds stemming from kickbacks paid by companies looking to secure public works projects. In an indication of how high up the allegations of corruption and embezzlement may go, former president Fernández de Kirchner was ordered to appear before a federal judge this Monday, August 13, for questioning. So far, she has not commented publicly on the allegations. It was a series of photocopied notebooks with detailed information regarding the “collection mechanism” of hundreds of millions of dollars in bribes that went all the way to the Executive that sparked the arrests and raids throughout Buenos Aires City and province last Wednesday. These targeted both former members of the Kirchnerite administrations and businesspeople. At least 20 people have now been arrested. At the centre of the probe is Oscar Centeno, a former Army sergeant who previously worked as the chauffeur of Roberto Baratta, a sub-secretary of the Federal Planning and Public and Investments Ministry during the Kirchner years. Baratta was considered to be the ‘right hand man’ of Julio De Vido, the embattled former federal planning minister who has been accused of orchestrating a massive kickback scheme around public works projects that defrauded the state of hundreds of millions if not billions of dollars from 2003 to 2015. De Vido will testify on Friday. "Since Argentina committed to this fight, the results are clear", said President Macri on Monday, speaking at G20 event involving civil society groups. He said his government was "committed" to fighting corruption and ensuring Argentina had "transparent" institutions to "combat and prevent corruption".